UF/IFAS researchers are working with local citrus growers to find out how well covering young plantings with individual protective covers keep out citrus psyllids — the vector of citrus greening. Through multiple experiments, University of Florida scientists are discovering that by covering new citrus tree plantings with mesh, they can keep disease-carrying Asian citrus psyllids from harming the trees. Researchers call the system individual protective covers (IPCs). 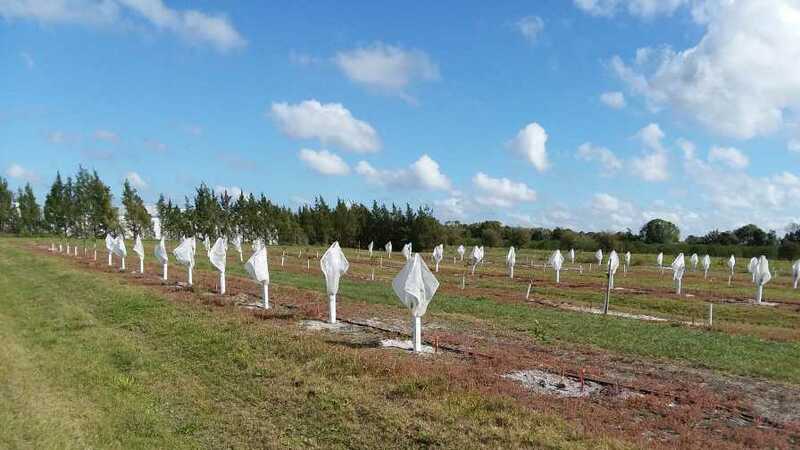 Thanks to covers donated by the Tree Defender Co., UF/IFAS scientists are testing IPCs in an experimental grove at the Southwest Florida Research and Education Center in Immokalee as well as in several other commercial groves in the state. 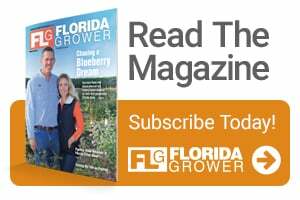 Although the covers are still in the research phase, an increasing number of citrus growers are using them, according to Fernando Alferez, a UF/IFAS Assistant Professor of horticultural sciences. Alferez explains that the covers are typically installed immediately after the new trees are planted and stay there for two years. With no psyllids getting through the mesh, trees avoid infection for the two years the cover is on the plant. Without infection, trees have a better chance to enter the crucial fruit-producing stage free of disease. “As we experiment with the covers, we’re finding they not only help prevent psyllids from infecting citrus trees with greening, they also help trees grow better,” stated Alferez. Researchers are still in the process of learning about all the potential advantages of the covers, which cost $8.50 each.